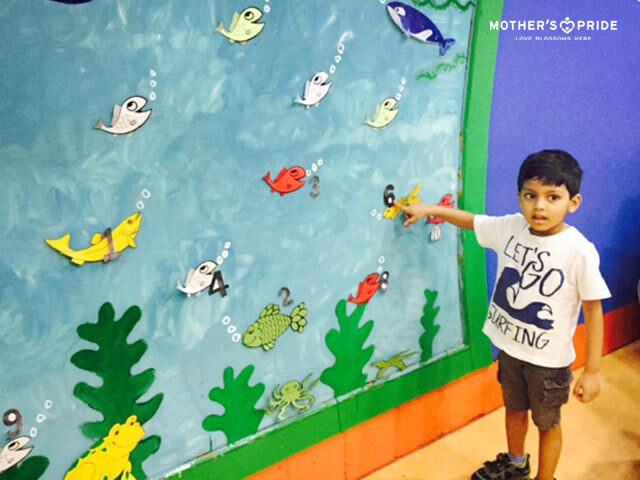 Mother's Pride » LEARNING NUMBERS IS FUN! 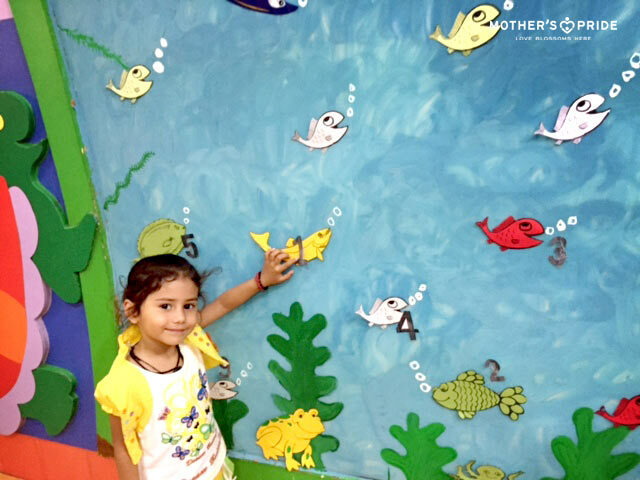 It was just another day of joyful learning at Mother’s Pride! 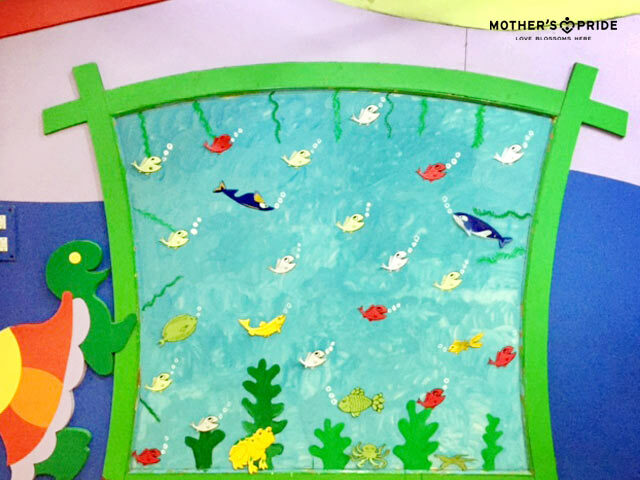 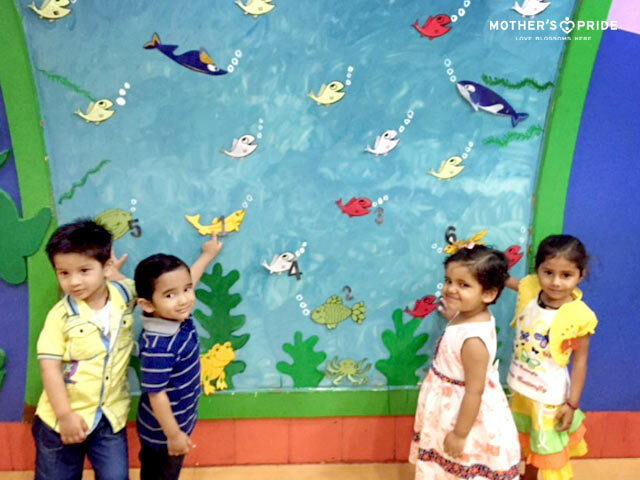 Prideens of Grade Nursery learnt numbers through an interesting activity called ‘Number Aquarium’ on 22-04-2015. 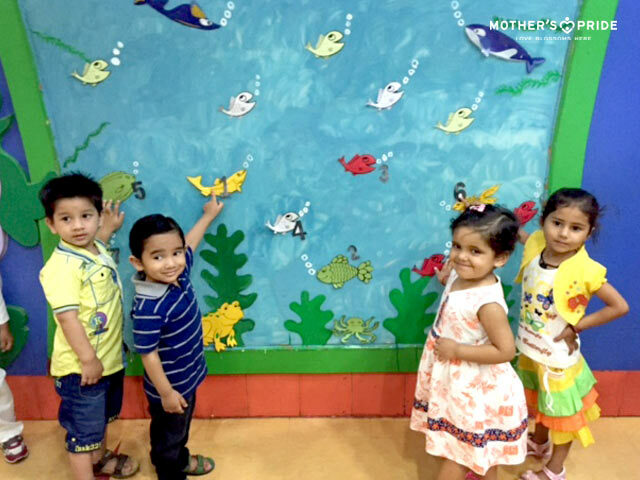 Aimed at enhancing conceptual development of children, the activity started with an interesting discussion of numbers followed by recapitulation of numbers. 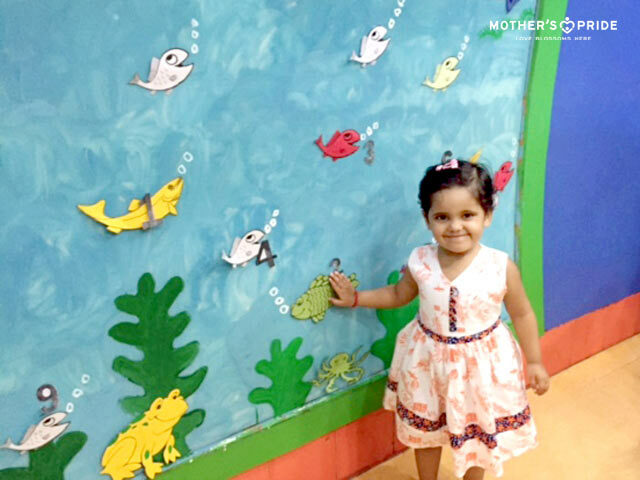 It is well known that mathematical concepts are best understood when connected with real life. 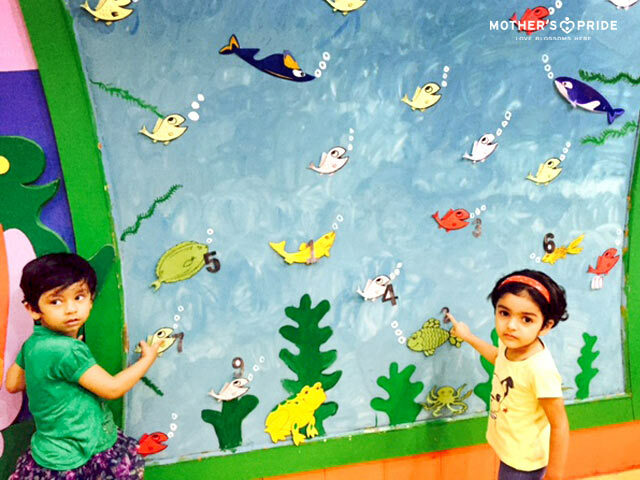 To learn how to apply these concepts in real life Prideens got the delightful opportunity to refresh their concept of numbers through this entertaining activity. 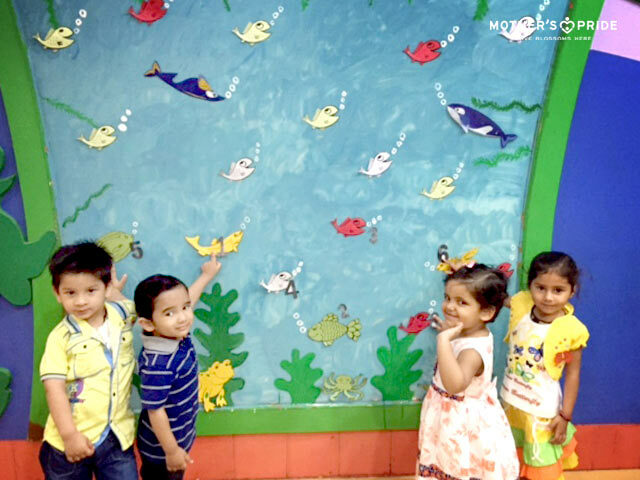 Excited to see the colorful poster on the wall, Prideens identified different numbers marked on each fish and recognized the numbers from 1 to 10. 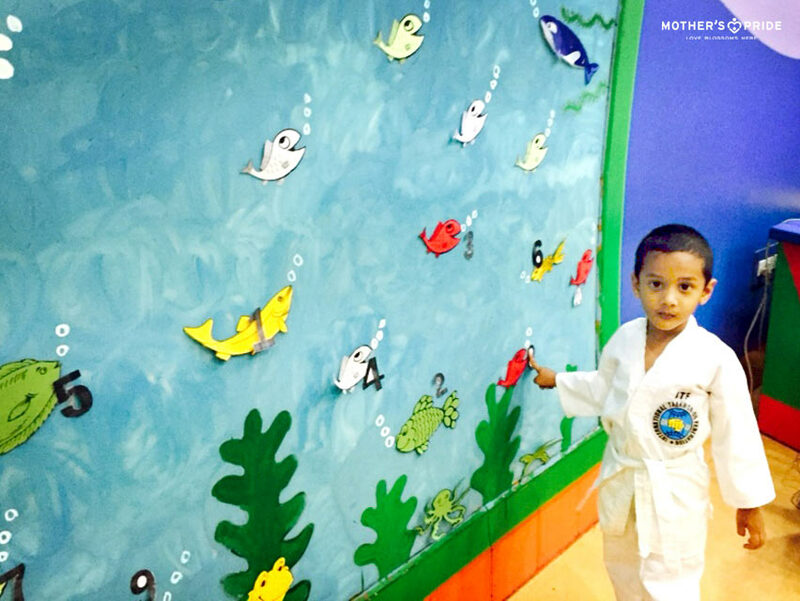 The activity not only helped in developing gross motor skills of children, but also contributed to their physical and social development as they interacted with their peers in the group.